In 2015, the team will change its name from Omega Pharma-QuickStep to Etixx-QuickStep. 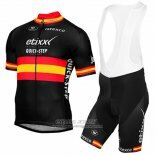 Etixx - Quick-Stepde jersey will continue to be black and blue as the theme, since 2012, these two colors are already the main colors. 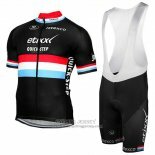 Etixx Quick Step cycling jerseys is made from a breathable, soft fabric that absorbs sweat and quickly transfers it to the outside with good breathability and a strong foundation of elasticity. 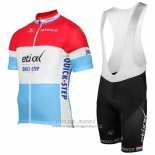 If you are interested, welcome to buy Etixx Quick Step cycling jerseys.